Secure Data Recovery Services is the most reliable source for professional data repair and recovery in Salt Lake City with a certified Class 10 ISO 4 Cleanroom, and an extensive set of security credentials are tools we can use to help you avoid serious data loss due to hard drive failures and other unexpected events. Data loss can strike at any time, and when you face serious down time due to damaged media, you need help from a capable provider in order to successfully recover data. Salt Lake City residents will receive risk-free diagnostics, state-of-the-art security, and better success rates than any other provider in Utah. Salt Lake City is the capital of Utah, and as the state's largest city, it serves as one of the major economic centers of the western United States. We have provided hard drive repair services to businesses in Salt Lake City for many years, and our local office allows for fast turnaround times and excellent results. Within days, we can return a full copy of your data and help you get back on your feet after a data disaster. To get started, contact us today for a free quote. When you lose data, you should immediately turn your device off to prevent additional damage and increase your chances of full data recovery. Salt Lake City residents should contact us immediately for a risk-free evaluation. Always take appropriate care with damaged media; do not take any actions that could contribute to data loss. Do not use disk utilities or commercial data recovery programs, as you might accidentally damage physical hard drive components or overwrite essential portions of your files. 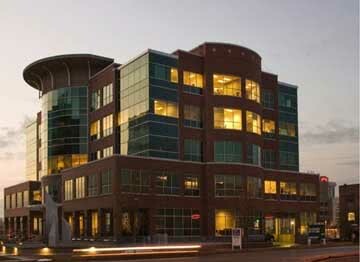 At Secure Data Recovery Service, we accept local pick-ups and drop-offs at our office in Salt Lake City. 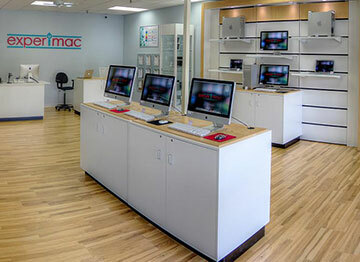 Hard drive data recovery specialists can evaluate your damaged device within 48 to 72 hours at no charge. Our evaluation reports provide you with key information about your case, including a price quote and turnaround estimate. We also offer expedited options to help you avoid serious productivity losses after a data disaster, and all of our services feature a no-recovery, no-charge guarantee. We even offer specialized services like data tape repair, computer forensics, and RAID data recovery. You need an efficient, local provider for the best possible chances of successful data recovery. Salt Lake City customers should contact us because we specialize in hard drive data recovery, and for years, we have led our industry by providing exceptional customer service and unequalled security controls. By investing in research and development, we have introduced a number of proprietary data recovery technologies over the years. Secure Data Recovery Services gives computer users a safe, secure way to recover from data loss in Salt Lake City. Hard drive data recovery can be expensive, but our local office provides risk-free media evaluations for all standard hard drive data recovery cases and offers several turnaround options to help you manage your downtime. Whether you need to restore a damaged system after a major RAID failure or you simply want a secure way to retrieve personal files, our local office delivers an excellent set of affordable, flexible services. 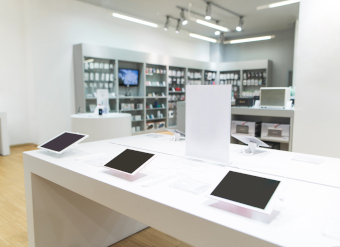 Contact our customer service team today or go online to speak to a certified data recovery professional and set up an evaluation at our Salt Lake City location. My external hard drive had all my family photos on it when it died. I did some research and found Secure Data. I worked with Frederick Wright and found him to be very helpful, empathetic and kind. He kept me updated through the recovery process. I’m very happy to have all my photos back! I would highly recommend them! Everything went smoothly. They were super attentive at answering all my questions. Alec was a rock star! I called and talked with Alec. I explained the situation and the need to get as much off the HD as possible in the least amount of time. I think the whole process took 2 weeks to complete. I would say 99+% of the files were recovered. I highly recommend Secure Data Recovery. Not only for their speed and accuracy, but for their professionalism as well! Great job Alec!! Thanks to Chris who patiently responded to my inquiries and requests. He communicated well and provided good information on the process, potential outcomes, and anticipated costs. Thank you. I worked with Chris McCacken, and he was very patient with me throughout the whole process, followed-up with me regularly, and answered all of my questions.